Video above published Nov 25, 2016: Sun is shining onboard HUGO BOSS today as Alex puts his foot down as he chases the breeze. Video above published Nov 22, 2016, by Alex Thomson Racing: Alex continues to lead the race through out the second week of the Vendee Globe. Alex Thomson, skipper of HUGO BOSS, explains the ups and downs of this week as he races on towards the Cape of Good Hope, the most southern point of Africa. Video above published Nov 24, 2016: Alex Thomson on HUGO BOSS explains conditions onboard in the Vendée Globe. Alex was currently travelling at 20.1kts heading towards the Cape of Good Hope. Video above published Nov 17, 2016: Andy Hunt, Chief Executive Officer at World Sailing presents the governing bodies sustainability strategy at the 2016 Annual Conference. Video above published Nov 21, 2016: Numbers were at the heart of Ulrich Lacher of Lacher Consulting's talk at World Sailing's Commercial Strategy for the Sport Forum which started by focusing on what potential sponsors are looking for. But there was one particular factor that he stressed was of crucial importance, data. Frequently described as the most beautiful race in the world, we find out why so many get hooked on the Rolex Middle Sea Race. 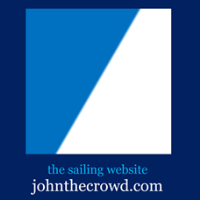 The World Sailing Show talks exclusively with the architect of the modern America’s Cup, Sir Russell Coutts. Then follow the opening leg of the Vendée Globe and see how a 60 footer is built in 60 seconds. Head to Barcelona for the glitz and glamour of the Rolex World Sailor of the Year Awards, as well as reporting on some big news from World Sailing’s annual conference. Incredible day for British Challenger Land Rover BAR in Fukuoka, Japan! The America's Cup World Series win means that Land Rover BAR takes two vital bonus points into the next round of the competition, the America’s Cup Qualifiers, starting 26th May 2017 in Bermuda. Video above published Nov 21, 2016. Video above published Nov 20, 2016: The summary of this 15th day of race. 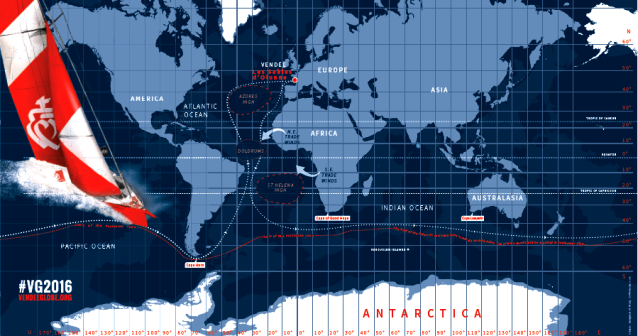 Data revealed today from Vendee Globe HQ shows that Thomson, the sole Briton in the singlehanded round the world race, had sailed 535.34 nautical miles when the starboard foil of Hugo Boss was ripped off by a submerged object yesterday: "The distance sailed by Thomson is actually greater than that set by reigning Vendee Globe champion and current record holder François Gabart, who notched up 534.48 nautical miles in the 2012/13 edition of the race. However the official rules of the record state it must be broken by one whole mile in order to be recognised – and Thomson's distance falls short of that by just 259 metres." -- Thomson and Gabart are now tied for the record. The final Super Sunday of the Louis Vuitton America's Cup World Series did not disappoint. Video above published Nov 19, 2016: With just one more day of racing left in the Louis Vuitton America's Cup World Series, the overall series lead remains up for grabs. On Saturday, ORACLE TEAM USA posted improving results over the course of the afternoon, with a 4, 2, 1 scoreline, leaving the defending America's Cup champion just one point off the lead. "I think we have to come out tomorrow and go as hard as we can. It's so difficult to push one boat back but if there are any opportunities we'll take them." Video above published 17 November 2017. Video above published 17 Nov 2016. News - Vendée Globe 2016-2017: "The extraordinary step up in performance of the new generation of foiling IMOCA monohulls at the front of the Vendee Globe is evident today as Alex Thomson added more miles to his lead in reaching conditions in which his Hugo Boss clearly excels. Even the British skipper, who has lead the solo round the world race since last Saturday night, admitted today he, himself, is deeply impressed at the speed of his VPLP-Verdier design in the 16 to 19kts trade winds in which he has been fast reaching in today, some 300 miles east of Salvador de Bahia. "I am just looking at the statistics. It is pretty amazing to be on a boat which in 16-17kts of breeze I can average 22kts," said Thomson ..." read more at the link above. Video above: watch the Ocean Masters first week's highlights of the Vendée Globe 2016-17, video published November 16, 2016. Louis Vuitton America's Cup World Series Fukuoka, Japan, Nov 18-20, 2016. Alex Thompson aboard HUGO BOSS is making good progress heading into the southern hemisphere on the hunt for stronger breeze. It certainly looks warmer than here at the team HQ in the Northern Hemisphere! Video above published Nov 15, 2016. Alex Thomson on his sailboat HUGO BOSS was leading the Vendée Globe solo, non-stop round-the-world sailing race as he crossed the Equator--the first British skipper ever to lead the solo non-stop around the world race into the Southern Hemisphere as it heads towards the Cape of Good Hope--Vendée Globe 2016-2017 News: "Thomson said he previews a fast, reaching passage towards the Cape of Good Hope. But first a new reference benchmark for Les Sables d’Olonne to the Equator seemed likely to be set by Thomson on Hugo Boss at nine days and around eight or nine hours, comparing favourably with Jean Le Cam’s 10 days and 11 hours passage set in 2004-5 on his Bonduelle. “The boat seems good and it seems like we will soon be into some stronger winds, it will free us up and we will start to go pretty fast I think. 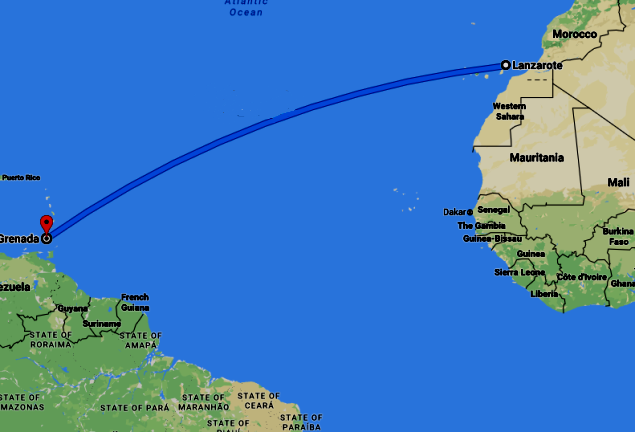 The routing I am seeing down to the Cape of Good Hope is quite quick. We are getting pretty close to the Cape in 10 days time. So that is very positive.”"
After storming through The Doldrums today Alex Thomson and HUGO BOSS can begin to stretch their legs towards the equator. Looks like the perfect place to see the super moon. Video above published Nov 13, 2016: Alex Thomson is still holding onto the top spot as the IMOCA Ocean Masters fleet head to the Doldrums. Video above published Nov 11, 2016: Day 6 onboard HUGO BOSS and the fleet is already feeling the warmth of the equator. Alex Thomson has made good progress stepping into 3rd place today, chasing down the leaders! Video above published Oct 31, 2016: Alex Thomson and the team headed towards Lands End to get some vital training in prior to the start of the Vendee Globe on November 6th. Video above published Nov 10, 2016: Alex Thomson is in good spirits reflecting on the tactical decisions and "mistake" of the last 48 hours and is now on the hunt! Video above published 9 Nov 2016. Video above published Nov 5, 2016: François Gabart, 2012 winner of the Vendée Globe, and North Sails ambassador Sam Davies, two-time race veteran, offer insight on the 29 boats starting their singlehanded round-the-world journey November 6th. Hugo Boss Alex Thomson video above published Nov 8, 2016.